Digital Extremes today launched a massive new content update as they begin celebrations for Warframe‘s third anniversary, the award-winning online third-person action MMO game. Alongside the huge array of new content arriving today the team also announced a special anniversary giveaway. Since Warframe’s release back in 2013 more than 22 million players have completed 2.1 billion missions, crafted nearly 19 million Warframes, slaughtered 13.8 Billion Grineer Lancers and earned more than 50 trillion experience points. Both PlayStation 4 and Xbox One players can look forward to receiving a series of special thank you rewards with free in-game weapons. 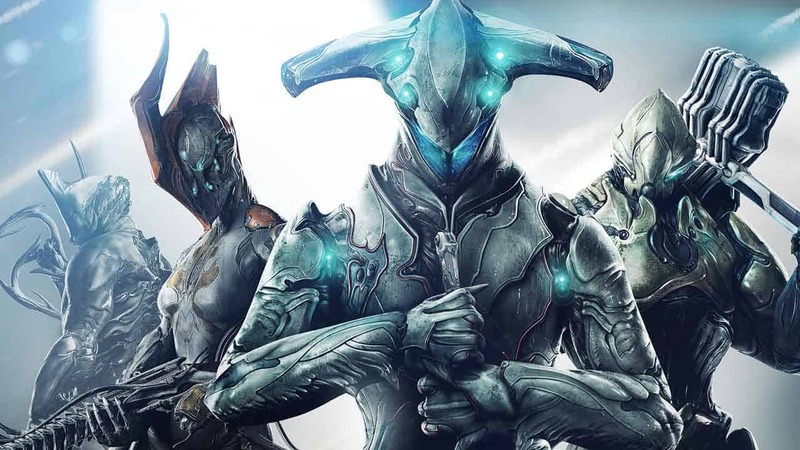 Everyone on PlayStation 4 and Xbox One that logs in to play Warframe between April 8th and April 15th will automatically be given a Dex Sybaris. Players will also be treated to the anniversary gifts from the two previous events, the Dex Furis and Dex Dakra. The Sands of Inaros update is now live on consoles and brings with it new modes, a new quest and Inaros, a mummy-themed Warframe with classic Egyptian style and flair.